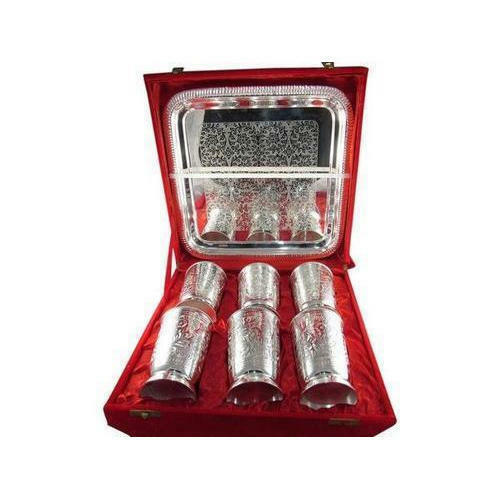 Keeping in sync with the latest market norms and policies, we are indulged in providing a high quality range of Silver Plated Glass And Tray Set. Established in the year 2016, at Moradabad, (Uttar Pradesh, India), we “Trends Kingdom”, are Partnership Company and acknowledged among the noteworthy traders, exporters and wholesalers of the best quality Brass Coffee Pot, Brass Tea Pot Set, Coffee Pitcher, etc. With the support of our Mentor “Mohd Mursaleen (Partner)”, we have been able to attain a huge client base.WE export our product to dubai, iran, saudi arabia, bahrain and kuwait.